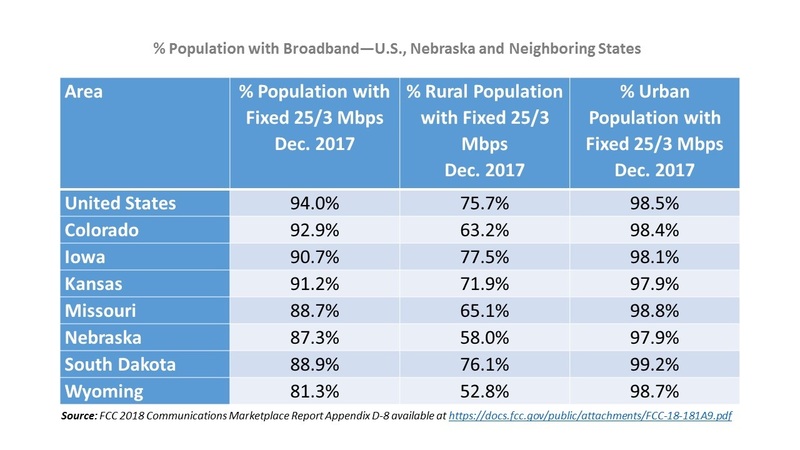 New data from the FCC shows that 87% of Nebraskans, but only 58% of rural Nebraskans, have broadband at 25 Mbps down/3 Mbps up available as of Dec. 2017. Nebraska lags the U.S. and all of our neighboring states except Wyoming in the percent of population and the percent of rural population with broadband at 25 Mbps down/3 Mbps up available. See the table below. 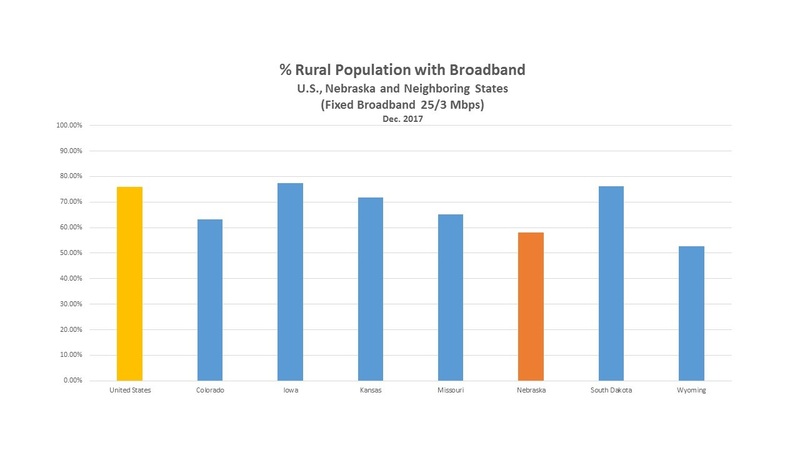 The percent of rural population with broadband available in Nebraska and our neighboring states ranges from 77.5% in Iowa to 52.8% in Wyoming. With 58% of Nebraska’s rural population having broadband available, Nebraska lags behind the U.S. and five of our neighboring states (Iowa, South Dakota, Kansas, Missouri and Colorado). See the chart below.